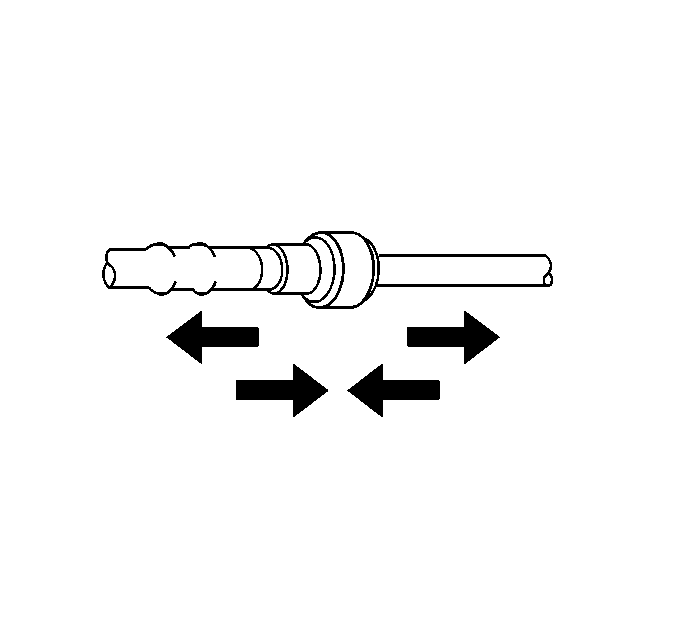 Remove the retainer from the quick-connect fitting. 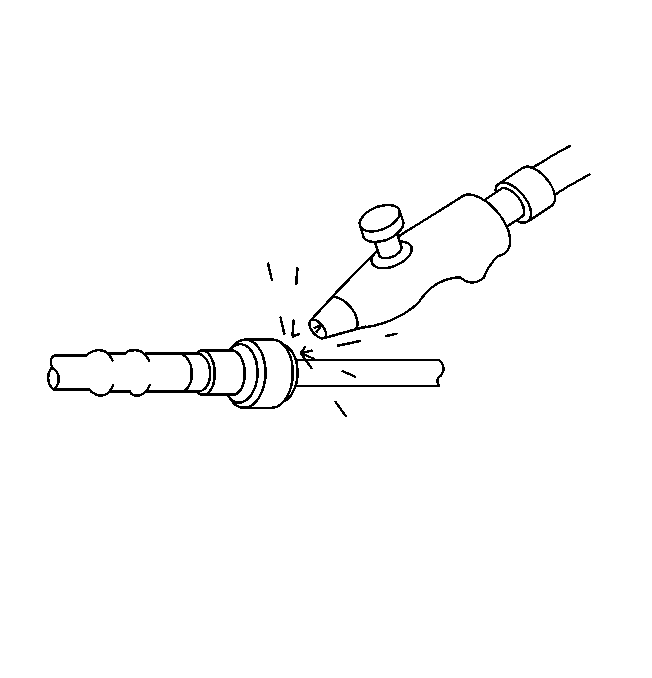 Depending on the fuel line size and ability to access thefitting, choose the appropriate tool:CH-41769fuel line disconnect tool setorCH-44581fuel line disconnect tool. 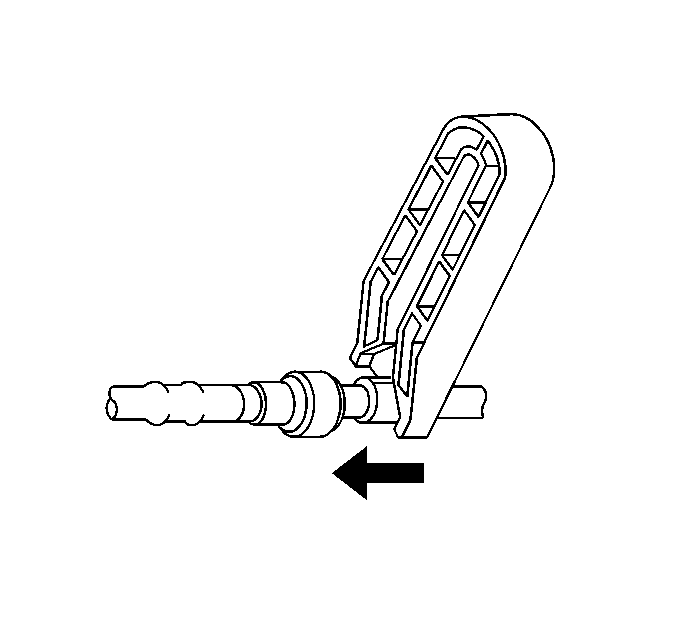 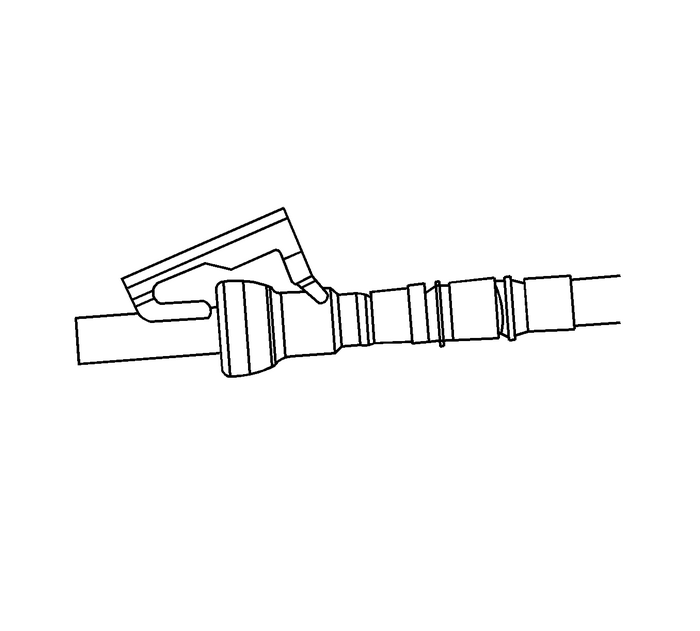 Insert theCH-41769fuel line disconnect tool setorCH-44581fuel line disconnect toolinto the female connector, then push inward to release thelocking tabs. 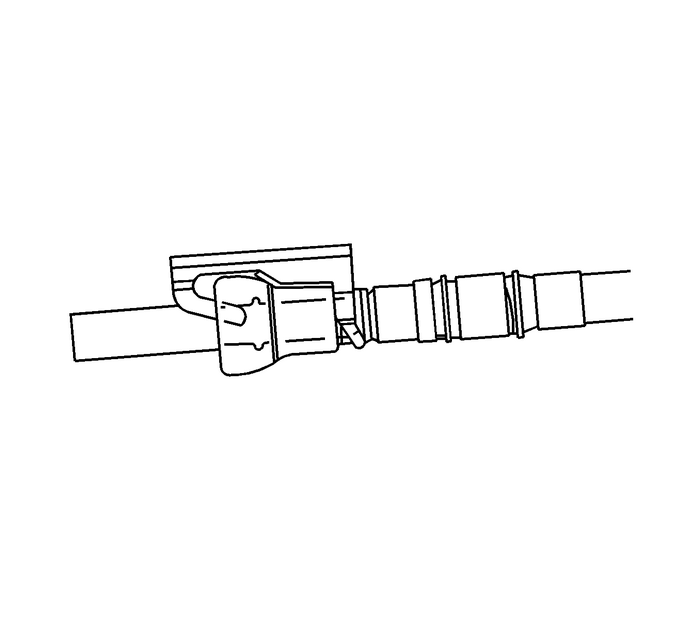 Push both sides of the quick-connect fitting together tocause the retaining tabs to snap into place. 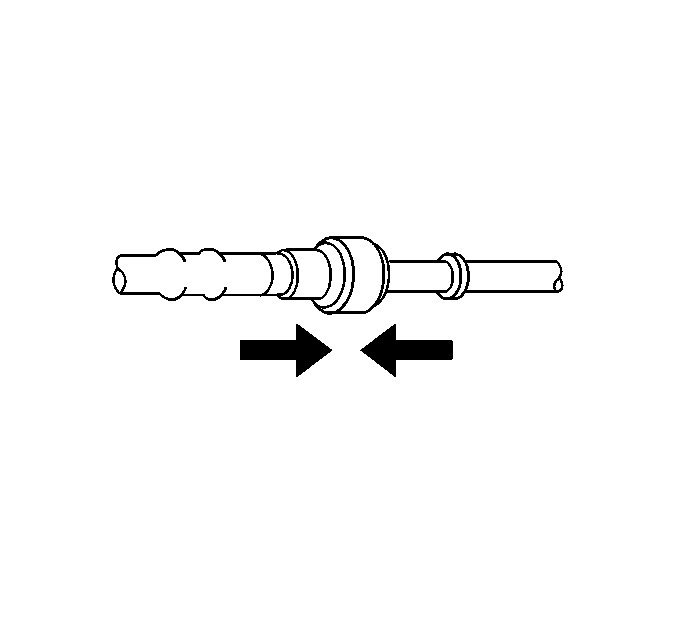 Pull on both sides of the quick-connect fitting to make surethe connection is secure. 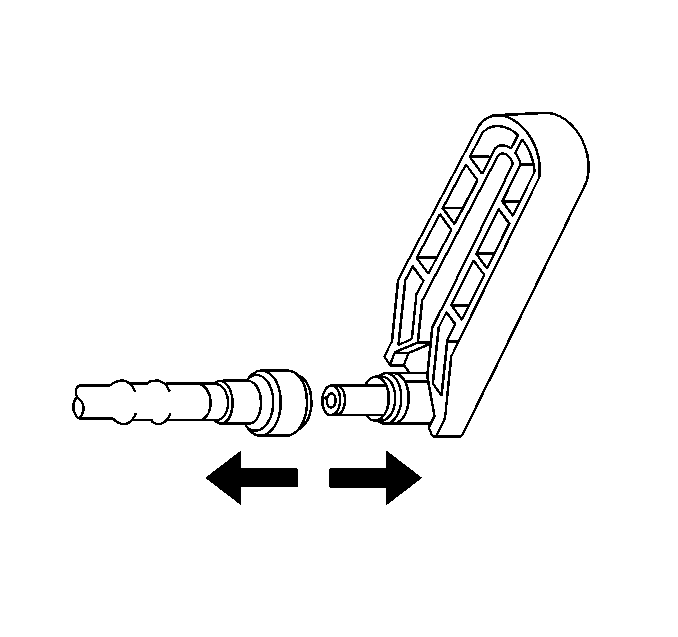 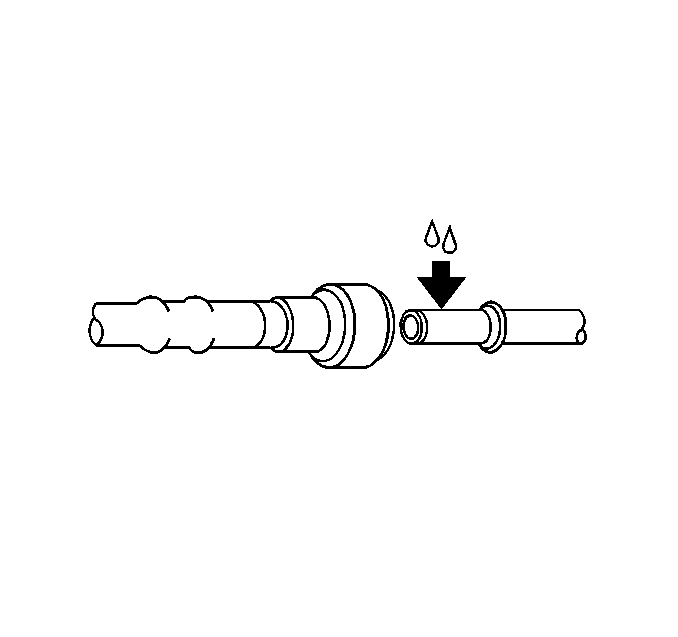 Install the retainer to the quick-connect fitting.Inspect for leaks using the following procedure:Turn the ignition ON, with the engine OFF for 2seconds.Turn the ignition OFF, for 10 seconds.Turn the ignition ON, with the engine OFF for 2seconds.Turn the ignition OFF.Inspect for leaks.